Eisenberg Castle is a medieval hilltop castle ruin north of Pfronten built in the 14th century. 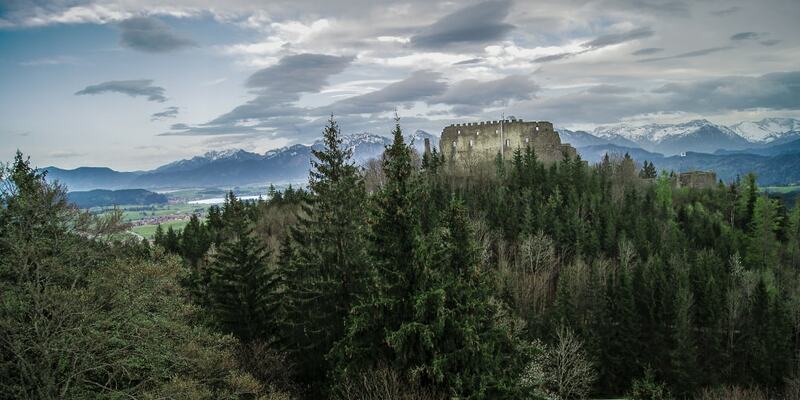 The castle was built in 1313, when the nobles of Hohenegg, deriving from the West of the Allgau, were deprived by force of their castle, Loch, by the Tyrolean. In consequence, they moved a few miles further north to establish their new lordship of Eisenberg which centered round a mighty new castle: Eisenberg.